Guitarist Chris Walla says "a break is probably in order"
Death Cab for Cutie haven’t scheduled any downtime for the first half of 2012 — they’ve just tacked on an 18-date summer tour to the end of their current spring dates — but give it a few months, says guitarist Chris Walla in a recent interview with Billboard, and they may be ready to slow their roll. No one would blame the group for feeling a little worn out. Following the release of seventh studio album Codes and Keys, they’ve been through a lot — frontman Ben Gibbard ended his indie-dream-team marriage to Zooey Deschanel in November (not to mention fired off some incredibly depressed, not-so-cryptic tweets about it over the following few months). Plus, the band is currently still in the midst of their spring tour, which features arrangements and full accompaniment from San Francisco’s Magik*Magik Orchestra. The second they leave Primavera Festival in Portugal, they head right back to Ontario and the Midwest for some blistering midwestern summer heat. 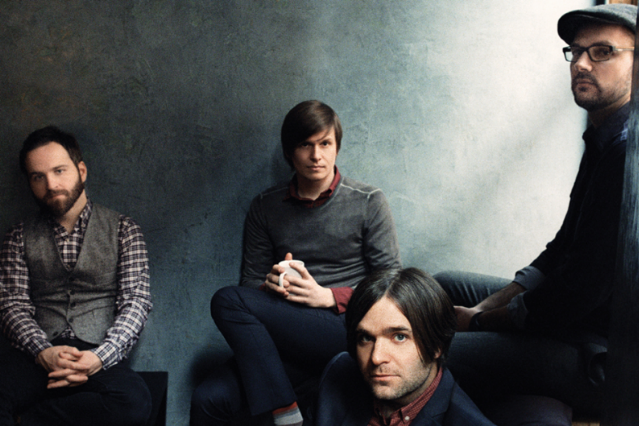 Gibbard could use some downtime in the fall: another marathon, perhaps? Some work on his running playlist?